As you fill a new prescription, you might not think of the impact it could have on your eyes. Yet some prescription drugs and even a few over-the-counter remedies can have serious visual side effects. As you fill out a new prescription, you might not think of the impact it could have on your eyes. Yet some prescription drugs and even a few over-the-counter remedies can have serious visual side effects. Medications can have a variety of effects on your eyes, ranging from minor, temporary issues such as blurred vision to permanent damage. 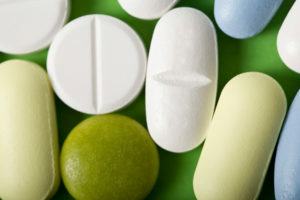 Learn which drugs cause the most problems — and what to watch for if you have risk factors. Which drugs pose the most concern? A few stand out, although you should check for potential visual side effects with any new medication. This list offers just a few common culprits. Corticosteroids: People take these for a range of conditions, from asthma and allergies to arthritis and skin conditions. But whether in cream or pill form, they can cause swelling in the back of the eye or retina and potentially lead to cataracts. Even an over-the-counter nasal spray like Flonase comes with risks. Antihistamines: They may fight allergies, but they also can raise certain patients’ risk for glaucoma. See more information below for those with particularly high risk levels. Antipsychotic medications: Drugs such as Thorazine and Mellaril can be toxic to your retina. Antimalarials: For example, Plaquenil — used to treat malaria, lupus and arthritis — also has toxic effects on the retina. Other drugs may raise eye surgery risk and other conditions, so talk to your doctor if you have concerns. And if you take a medication that comes with risk, be sure to have regular eye exams to make sure they don’t damage your vision. Anyone taking medications such as cortisone and others listed above may experience visual side effects. But if you have glaucoma or diabetes, you should be especially vigilant. Some people’s eyes are configured to have a “narrow angle” that puts them at risk for an acute onset of glaucoma. Sulfa drugs like Topamax, or certain antihistamines or incontinence medications like Detrol or Ditropan, can trigger an acute attack of glaucoma in someone with a narrow angle. People with diabetes are especially prone to developing blurred eyesight from cortisones. With high blood sugar levels, there is temporary swelling within the lens of the eye, resulting in blurred vision. With poor control of blood sugar, structural damage can occur within the eye that can cause severe vision loss. If you get a new prescription or even start a new OTC medication, be aware of anything that causes pain to the eyes, or distorted or blurred vision. If you do experience a problem, talk to the doctor who prescribed the medication. Don’t stop the medication without your doctor’s advice. 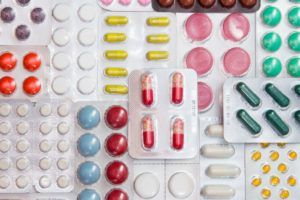 They’ll want to assess whether the medication is the likely culprit — and sometimes the benefits outweigh the side effects. Always read the warning labels, too — especially if you have a condition such as glaucoma or diabetes. A variety of medications have warnings that patients with glaucoma shouldn’t take them. If you’re having clear-cut eye problems related to medication, see an eye doctor. Your vision is too important to assume side effects will just go away.